Do you remember how, when you were little, you delighted in picking a bouquet of brilliant yellow dandelions, stems of varying lengths, to offer to Mom as a token of your love? Dad hadn’t mowed the lawn yet and the yard, like a treasure chest, was filled with golden treasures. Dad called them weeds, but you saw beautiful flowers. You’d run inside to present Mom with your gift, and despite her battle with summer allergies, she would tell you how much she loved it. Mom would then place your bouquet in a Dixie cup of water, displaying your dandelion love for all to see and appreciate. As the season would progress, those vibrant sunny flowers would transform themselves into fluffy white globes. With glee, you would blow on these soft, silky heads, sending seeds with miniature sails off in so many directions as your breath and the wind would carry them, providing the chance for more dandelion treasures to grow and flourish. There was a joy in being the force that propelled the seeds, and an amazement in wondering how far they might go. Giving and showing your love can be as simple as that gesture of a young child. The purity of heart and the desire to bring happiness are all that are needed. As young children, we don’t wonder if our gift won’t be good enough or what the recipient will think of our gesture. We just give because it feels good to give from the heart and it feels good to bring happiness to another. So simple. An act of kindness can be so small, yet its impact on the heart and mind may be far-reaching. One kind act may live forever in memory, and may inspire countless kind acts. The expression of your love is your means to connect with others and to make a difference. You make a difference! 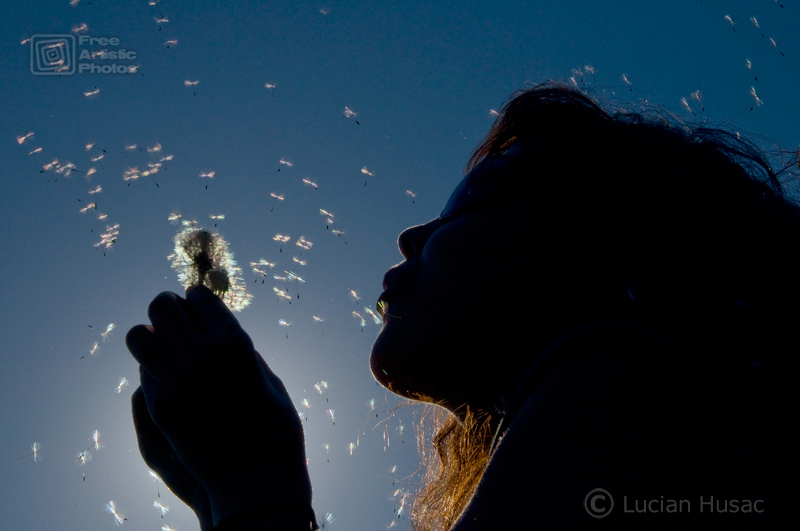 Likewise, sowing seeds of hope is like blowing on the fluffy dandelions you did as a child. When you encourage someone to take a chance, or you support him by providing the direction or means to reach his goals, you are an agent for hope and prosperity. It is as if you are breathing life into someone’s dream, giving him the chance to grow and flourish and to develop. Although you might never know the full or long-term impact of your supportive actions, you can enjoy knowing that you probably have made someone’s life easier, or better, or happier, because you shared of yourself and your talents. You are a giver of hope, a precious resource in a challenging world. What are some ways that you have shown someone kindness or that someone has shown kindness to you recently? What are some ways that you have been a giver of hope or that someone has giver of hope to you recently? I invite you to share your responses or your thoughts on hope and kindness. And who knows, maybe your words will inspire someone else to show kindness or to be a giver of hope!